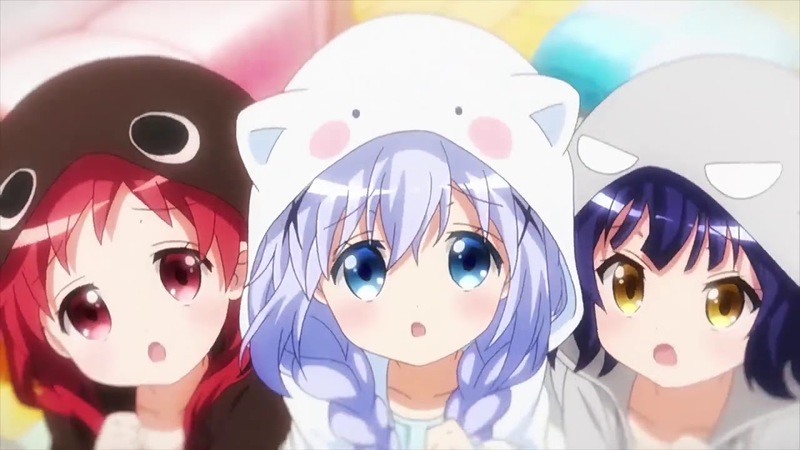 I have a pet rabbit, that’s why I love this show: Gochuumon wa Usagi desu ka? It’s been a long while since I last wrote a proper review, since completing anime is rather on the slow side with work taking a lot of my time nowadays. I will be covering the entire series. S1, S2 and the OVA. A manga source, currently still ongoing. The anime had 2 seasons of 12 eps and then an hour of OVA to wrap things up. Well, the reason why I picked this show up is because of how much they emphasize on rabbits. Moe and misleading lolis are pretty much the trend back in 2014, but I only managed to start watching during 2015 just before S2 happens. The story is slice-of-life with very misleading characters. Everyone is unique in their own way, unique to the point that I didn’t expect them to be this… weird. The characters’ chemistry and comedy makes the story entertaining to make me sit on my chair for 7hours to complete the entire season within a day. This season felt like a long season even though it’s the same length. Oh great, another hour of rabbit goodness. Starting off with a pseudo-tragic farewell and then comes in the 3 females of the Hoto family. I think I loved this one the most. Comedy is no longer character-reliant, and more of the gags that developed from the previous two seasons. An hour is not enough, it’s never enough, but the pacing was slow in this series so it’s okay, an hour felt like 2 hours. Being obsessive to your siblings is okay. Probably one of the key elements that drives me to finish the series. I would say… Syaro is the reason why I love the show. Living in poverty while people assume that she’s rich, sounds about right, sounds like me. The other characters were equally great too, Aoyama is very… Blue Mountain, Cocoa’s mother keeps making me giggle randomly, Mocha giving me the weird thoughts. I love them all, it’s like Date A Live all over again. First season by White Fox alone, then Kinema Citrus holds hands with Fox for S2. OVA is then done by Production doA, that’s Mahou Shoujo Site’s studio by the way. First season was good enough, then 2nd season gets upscaled. And the OVA looks like movie-grade quality, it’s wonderful. Colors are vibrant, character designs hits my kokoro, nothing to nitpick at all. The FBI is knocking on my door, be right back. The OPs and EDs were equally great in all of the series, but… the hidden gems are… THE CHARACTER SONGS. I love them all, but the character songs are the ones that makes me loop the playlist. BGMs were decently composed, suiting the setting and slice-of-life nature of the show. They are petit, none of them are above 1.6m. Another key element that makes me sit down. Extremely wonderful cast. Sakura Ayane, Minase Inori, Taneda Risa, Uchida… MAAYA?! 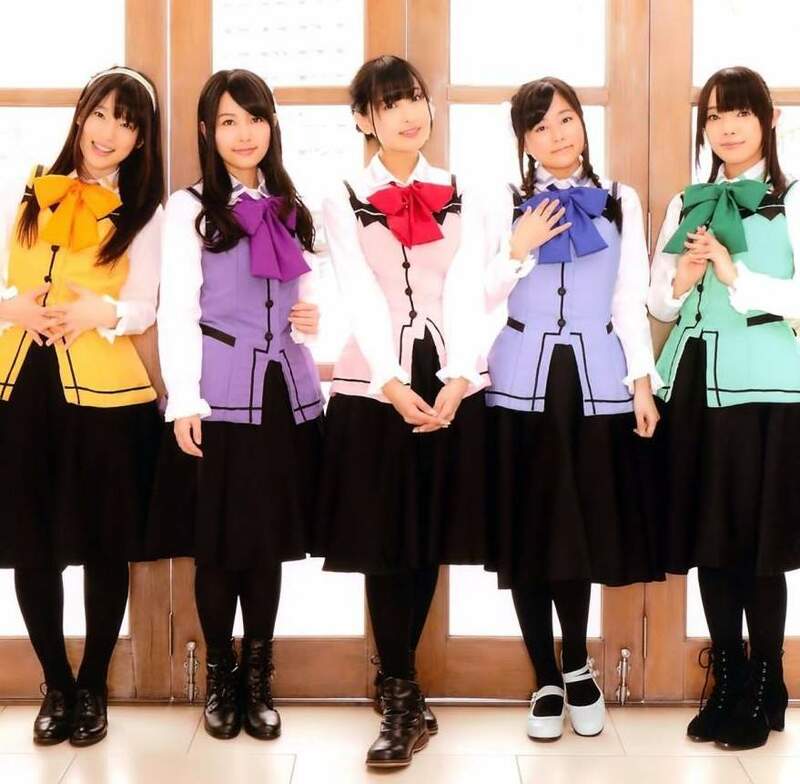 Sato Satomi, Tokui Sora, Murakawa Rie, Ha…ha..ha… choo! Excuse me. Inoue Kikuko, Kimura Juri, Kayano Ai, MINAGUCHI YUKO?! AHHHHHH SO MANY LIT GIRLS I LIKEEEE. So yeah, this ends the list. 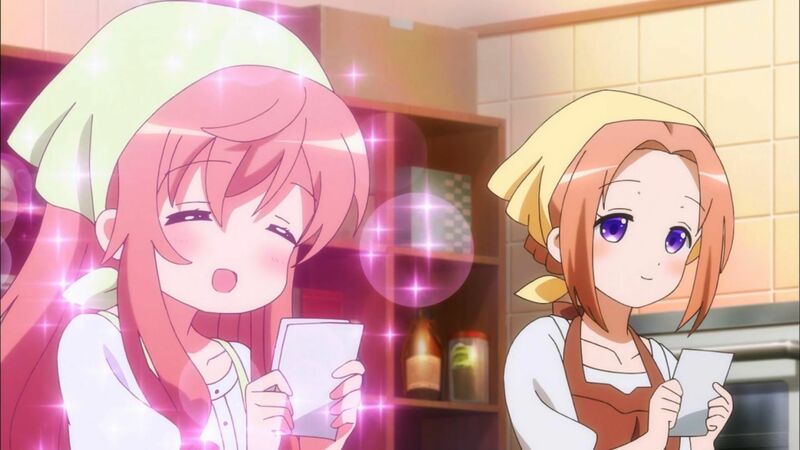 I love everyone of them, but Syaro’s voice gets me the most, Minaguchi voicing as Cocoa’s mom is close 2nd. Ultra recommended if you are looking at a good, diabetic show for you to enjoy! You think this review is the last? UH UH! Digimon Tri. will be the next one… eventually… soon… someday. I always wonder how some shows that don’t look like they should be the flagships of the industry manage to assemble incredibly talented casts. I guess based on that criterion alone I must add the show to my watchlist.